The response to the competition was so huge that Pedlars decided to expand their one manifesto to three; one for a Better Life, one for The Great Outdoors and one for The Kitchen. The slogans were selected from over 600 suggestions and also from about 50 ideas proposed by Team Pedlars. The gloriously bright finished manifestos are printed on card in the US, by hand, using ancient presses, by a tiny company that specialise in circus and political posters. 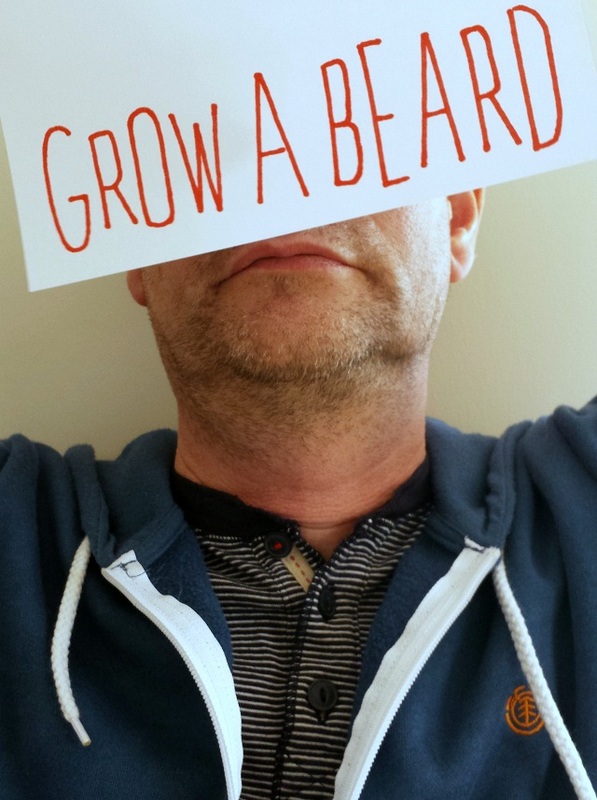 Anyhoo, imagine my delight when 'Grow a beard' was selected for the 'Manifesto For a better Life'. Not only was I lucky enough to win a copy of the manifesto showing my slogan but I also won £50 to spend at Pedlars. How exciting to be a winner and to be able to choose something from their amazing homeware, prints, stationary and vintage selections. First I jumped at the chance to replace our broken chopping board with this funky green neon edged one which is great for plain chopping or as a decorative serving board. I also chose two sets of Duralex Marine Glasses (some are bound to get broken). I love the classic French design and the jolt of colour they add to our meal times. They also look pretty with a twinkling tea light inside. Lastly, I chose two vintage Hickman and Pullen Bottles – my favourite way to display flowers. They are the dark green ones and are perfect for single stems such as these tulips. We already have a small collection of vintage bottles from hubs' childhood that are dearly loved so I thought it might be nice too add some different vintage bottles. Also, these ones were made in Wednesbury which is local to us. As for the manifesto, I love the funky colours of the print and it looks great unframed - although I will probably frame it when I've eventually stopped having fun arranging it in different places around the house. What's more exciting is that I can help spread Pedlar's Campaign for the Good Life to one lucky home! Pedlars has kindly offered one Just a little less reader a copy of The Manifesto for a Better Life (unframed). To enter just leave a comment below and be a follower of Just a little less. The closing date for the giveaway is May 22nd. The winner will be picked at random and will be announced here on May 23rd. I'm happy to post worldwide. Lucky you, I really like the things you got with the money you won, and I like your slogan. oh how fun that your photo was chosen! is that your hubby? Well done Claire! The manifesto looks great. Funnily enough, I can't sleep because my daughter is having some problems at school ( probably in part because of the last point on the manifesto- we have raised a "funky" child who doesn't always fit in with the crowd). In my head I was mentally composing a grumpy email to the Headteacher, but this post has prompted mr to stop and wait. I love the items you've chosen and you've made £50 go a long way. Pedlars is one of my favourite shops and have some great basics which I've picked up in their sales, including some melamine and my parka coat which gets worn all winter. Brilliant and congrats!! I love the one about playing the album in the right order ;)!! Congratulations! What a lovely business - so happy to have found out about them! How wonderful! Thanks for the giveaway too!! Well no beards please. Stubble ok, beards not. Google often except if you are ill. Please don't open the window (especially without asking and there are so many who do that on the bus so a howling gail comes in). Some of us really feel the cold and my blood vessels go pop when my hands get cold and it hurts like mad. Windows don't need opening in the winter. No, not ever. So the above would not make me have a better a life at all. Sorry! The rest I try and do. Having funky children is a good one. Clever stuff and well done on your entry getting picked. Love the blue glasses and the old bottles. lovely! :) thanks for chance!!! I've just found your blog and am so happy to have! I'm currently trying to simplify my own life after being a bit of a hoarder for the last few years. Top wellness guru is a health-related website, with continuous use of this you will find important tips to make your health even better, we have created this site with the help of some other helpers, all those helpful and especially faithful.this site is completely honestly created.It is our only endeavor, with the help of this site we are replacing the knowledge of attraction and health in our users, the only purpose of Top wellness guru is to create awareness in health among the people through their site. We all care about skin care, muscle care, brain care, beauty care and other health-related care; we will continue to share some information, which will maintain your healthy lifestyle.